The Delaware Valley Women's Fly Fishing Association has nourished a passion for fly-fishing in hundreds of women since 1996. This was when women were rare participants in outdoor sports, but during the club's first two decades, this has changed dramatically. So many women are now fly-fishing that they have become the most important market segment in the fly-fishing industry. 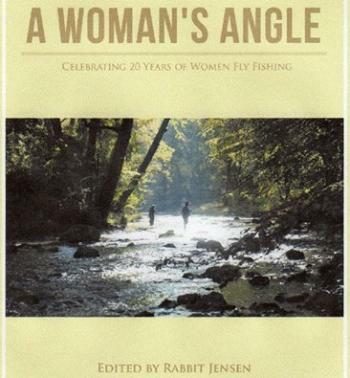 This book tells the story of some of these women, how they developed an interest in fly-fishing, and why. More importantly, this book is a celebration, not just of the DVWFFA's twentieth anniversary, but of fly-fishing itself, in the form of the best of articles from its widely praised newsletter. Beginners and veteran anglers of all ages and from all walks of life share their enthusiasm and love for the sport. From Cancun to Canada, fly-fishing saltwater, streams, ponds, and rivers, they share their insights, humor, and learning experiences, proving that good women's fly-fishing stories are just plain great fishing yarns. Children's Book Week: official event host!